Eric Conn of Independent Mastering drops by For The Record to share some insight on preparing for mastering. Eric has mastered records for a variety of artists. From Willie Nelson, Garth Brooks, and John Prine, to Skid Row, Hank III, and Young Buck. 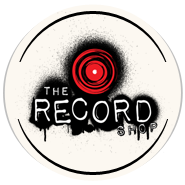 Here at The Record Shop, Independent Mastering is our first choice to put the final touches on our records. Preparing an album sequence before mastering is a must. You can play with the order in iTunes or in your DAW, then make a CD and take a listen! How does it flow? Anything jarring? Does the sequence take you on a journey or tell a story? Many radio stations track music via an ISRC Code (http://en.wikipedia.org/wiki/International_Standard_Recording_Code), and digital distribution company’s use this code to track purchases. Check with your digital distribution company—they may assign a code to you, or you can purchase your own code. The ISRC Code can be imbedded in the TOC at mastering, or you can have it done later. The benefit to having it done at the time of mastering is that the code will be on your manufactured discs. Do you want CD-TEXT on your disc? CD-TEXT allows your recording to be identified on some (but not all) CD players. If you do, please type out: Artist, Album Title, and Name of Songs. Better yet, email it to the mastering house so they have it the way you want it before you arrive! Labeling your mix media is a must, especially if your not attending the mastering session. Artist(s), song titles, sample rate and bit depth are a must when using digital media. Analog media needs reference tones and phase clicks, and leader tape in between the cuts. Other details should include: contact information for the artist, producer, and engineer, with both a phone number and email address. A sharpie with the artist’s name scribbled on the DVD does not count as labeling your media. If you want to be considered a professional, label your mixes. Hand a professional mastering engineer a CD/DVD/Tape with nothing written on it and even if he doesn’t say anything about it, he’s thinking “amateur”. Do you like your mixes? Have you made decisions regarding alternate versions of the mixes? Vocal up? Vocal down? TV-Tracks? Instrumental-Tracks? Radio Edits? Being satisfied with your mix is the number one key to having a successful day at mastering. Coming in with all the versions you need to have EQ’d will save you time and money. Are you familiar with the mastering room? If not, bring a reference disc! The reference disc can be anything, but it should be something you are familiar with, something you like. Take 5 or 10 minutes to listen to your reference material in the mastering room before you start making critical EQ decisions in a room you might not be familiar with. Trust the mastering engineer. He / she works in the room every day and knows it. If you’re feeling unsure, take the time to make a reference disc of one or two songs that you can listen to in your car (or other system) before you go down the wrong path in a room you don’t know. Sometimes you might not get what you want the first time around. Sometimes you will. Make sure you have a realistic attitude towards mastering and know the limitations of the craft by talking about it with the engineer. Miracles can and do happen in mastering! Or, it may be that you need to remix something. Communicate your needs! Get what you want out of your mix buss first. If you like it there, you’ll like it after mastering. If you’re pumping up your mix for your client via a digital limiter to make it “louder”, make sure your mastering engineer knows! What have you been listening to? Did you mix to tape but all your reference versions have been digital copies bounced to disk? If that’s the case, you have no idea what your mix sounds like. Make your reference versions reflective of your mix media. Then bring the mastering house what you’ve been listening to. 10. Don’t be swayed by price. Cheaper isn’t always better. Joe Blow in the bedroom charging you $50 bucks an hour after he gets home from his day job is a hobbyist at best. Twenty-seven hours later you’ll have spent $1350 and you might not be any closer to getting what you want than you were at the first hour. Use a professional, in a real studio, with real tools. In 3-5 hours you’ll get what you want and have the peace of mind that the master will be right. Good, Cheap, Quick: pick two. Coming in prepared will save you money, and your project will go much smoother! These are some of the questions I like to ask my clients, and your mastering engineer may have more or less questions! If you take the time to communicate your needs and the desired outcomes you would like to achieve from the session, you will be much happier with your final master. Your mastering engineer will be happier too!